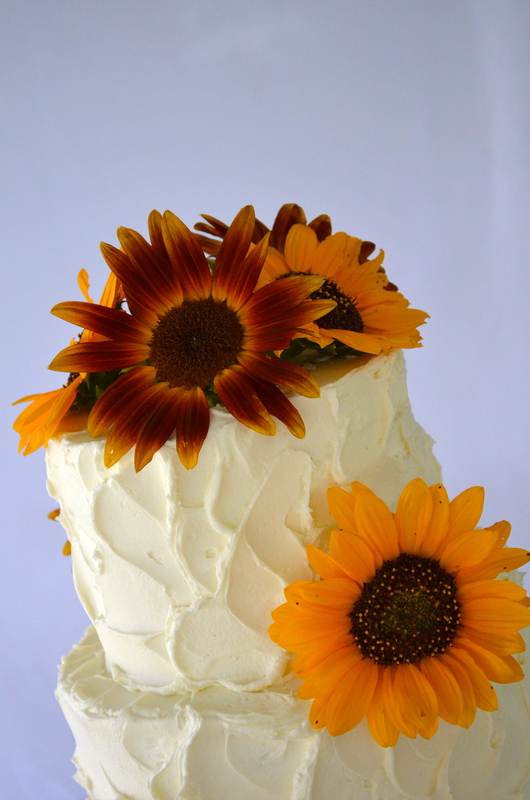 A very pretty cake for a summer wedding. 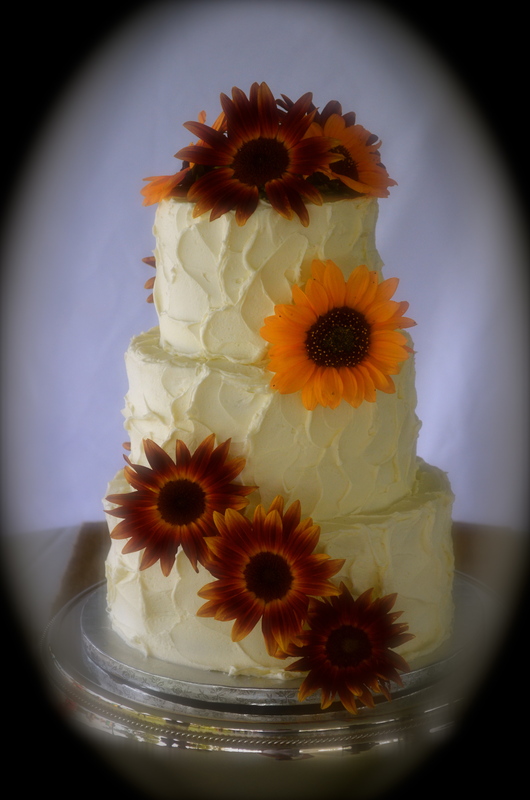 The cake was iced in a textured vanilla buttercream and adorned with fresh sunflowers from the bride’s mother’s garden. 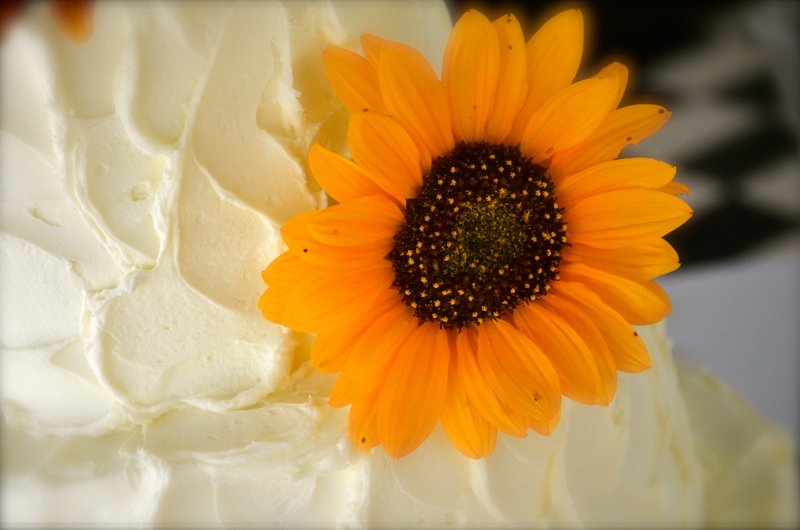 The cake flavor was a white cake with a refreshing lemon curd filling. The wedding and reception were held on the family’s farm. The meal was catered by Lucky Dog BBQ of Perryville. The wedding planner was Michelle Landers of Weddings by Michelle in Lexington, Kentucky. 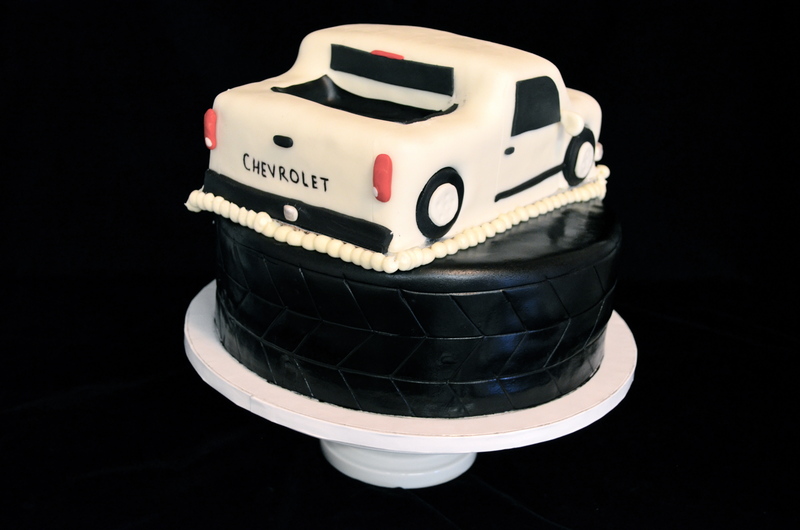 This cool groom’s cake was a replica of the groom’s own truck. 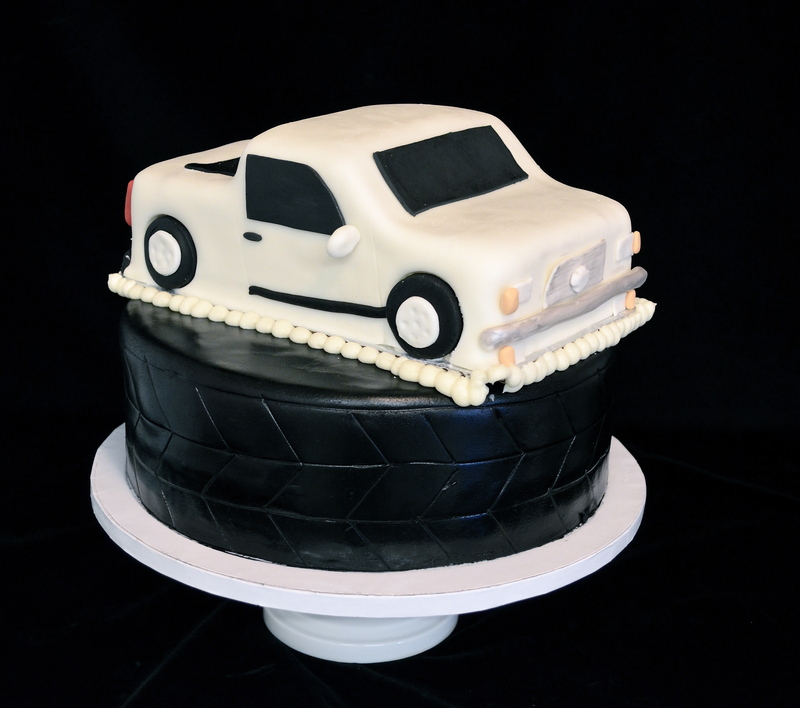 The truck and tire are created out of cake and covered in marshmallow fondant. 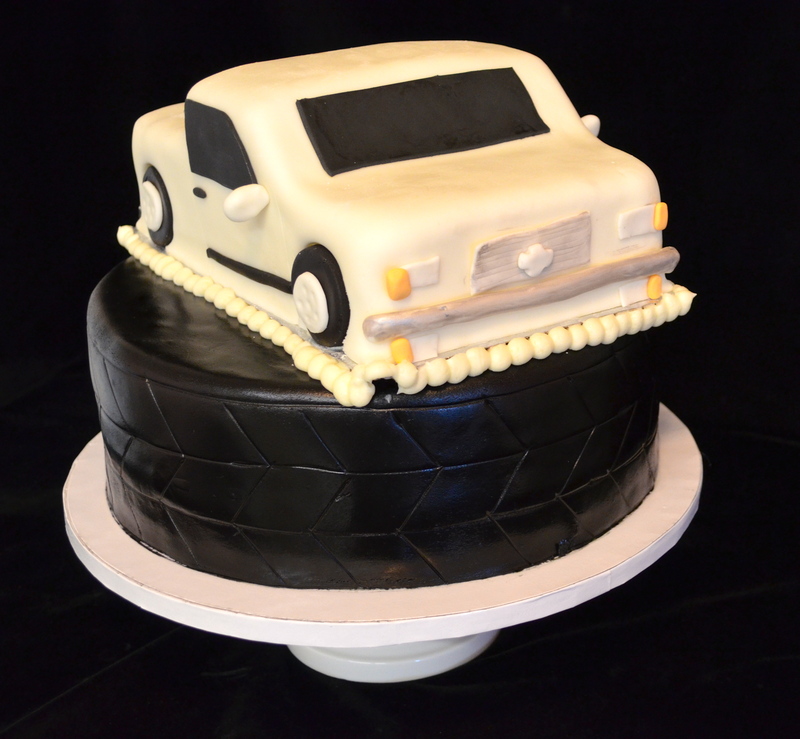 The tire’s cake flavor was carrot cake and the truck was a vanilla with a vanilla buttercream. The Twisted Sifter Cake Shoppe (859) 238-9393. The white buttercream wedding cake was for a reception at the Forks of Dix River Baptist Church. 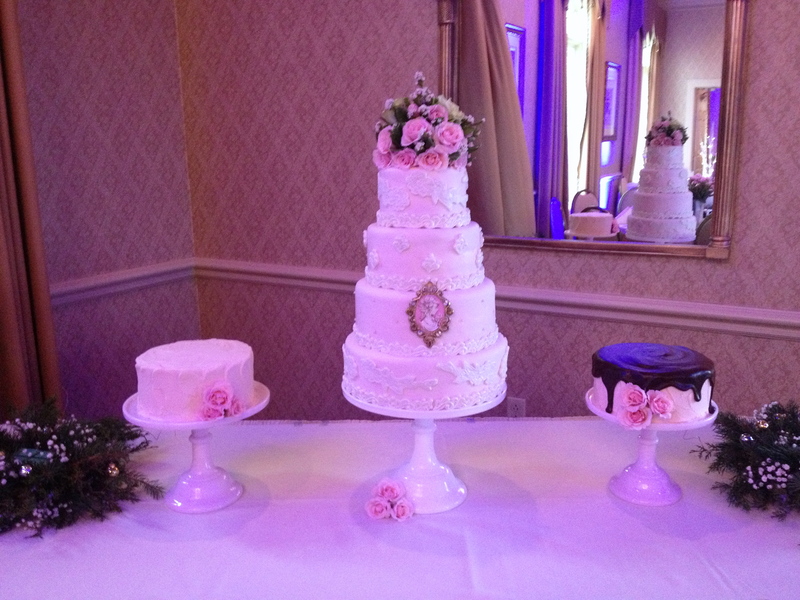 The cake was a 3 tiers of strawberry cake with fresh strawberry filling and a red velvet layer. The flowers were provided by Family Crafts and Flowers in Lancaster, KY.
I’ve finally tossed my Twisted baseball cap into the Cupcake Wars ring. Now I’ll have to wait patiently in hopes that phone rings from the casting department. Many thanks to all of our customers who have been so encouraging. 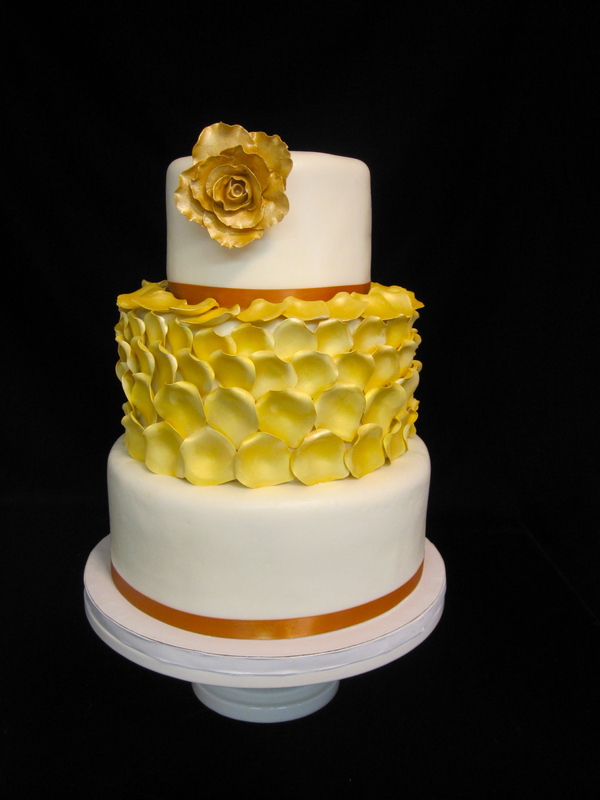 This gorgeous 50th wedding anniversary cake was created by using gum paste to create the rose and the additional petals that adorn the second tier. They were then hand painted in a gold shimmer dust. 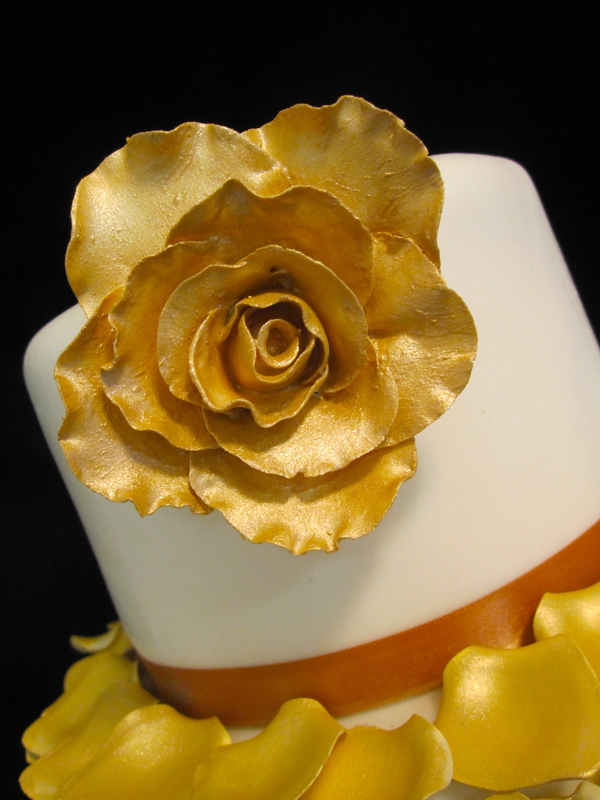 The cake is covered in a creamy white fondant. 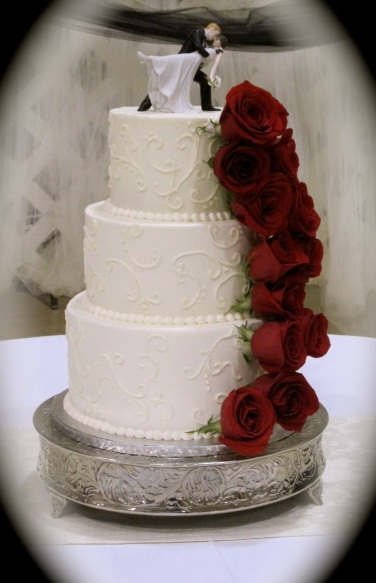 To order a cake, cupcakes, cheesecake, pie or to schedule a complimentary wedding consultation and tasting, please call The Twisted Sifter Cake Shoppe at (859) 238-9393. 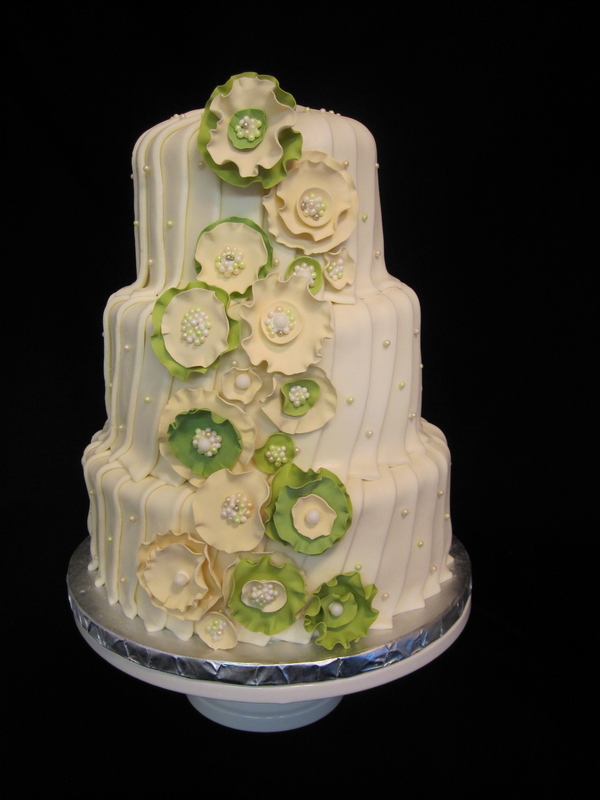 This ivory fondant wedding cake was created for a wedding held at the Bell House in Lexington, Kentucky. 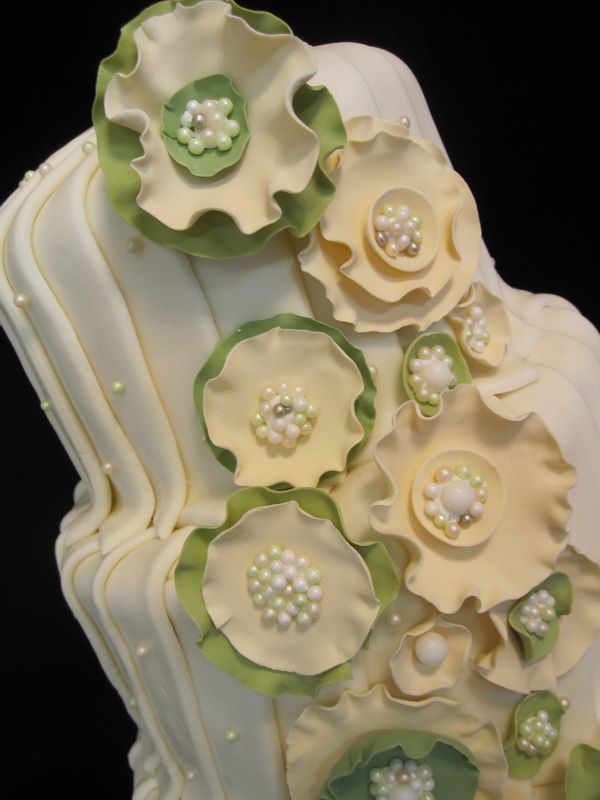 The flowers were created in gum paste and adorned with small ivory and soft green pearls. The cake flavors were key lime with key lime buttercream, lemon cake with fresh raspberry filling and a classic white with vanilla buttercream. The additional sheet cake was a Guinness Stout cake with a chocolate ganache filling and an Irish cream buttercream. 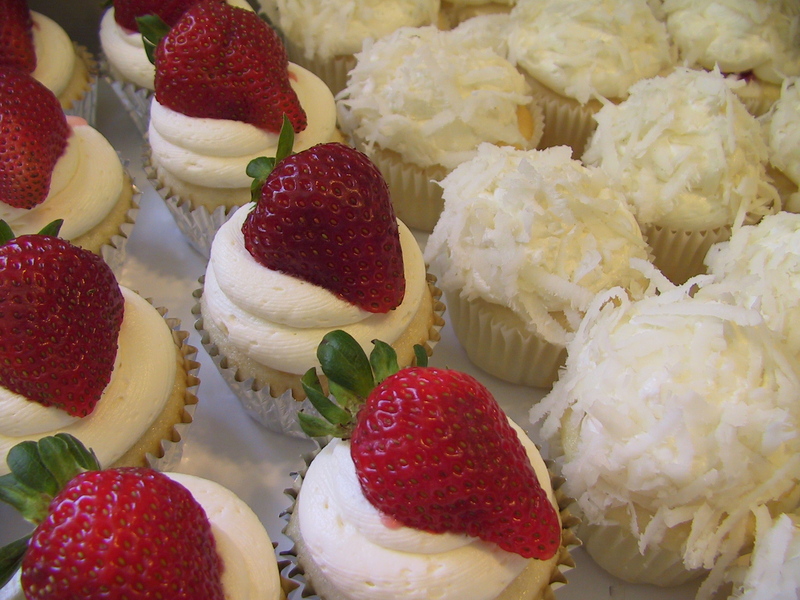 To schedule a complimentary consultation and tasting, please call The Twisted Sifter Cake Shoppe at (859) 238-9393. For more information, visit The Twisted Sifter.